Jonathan Rea has told MCN today that he will race at the opening round of the World Superbike Championship despite still suffering the effects of his 130mph crash on Tuesday. 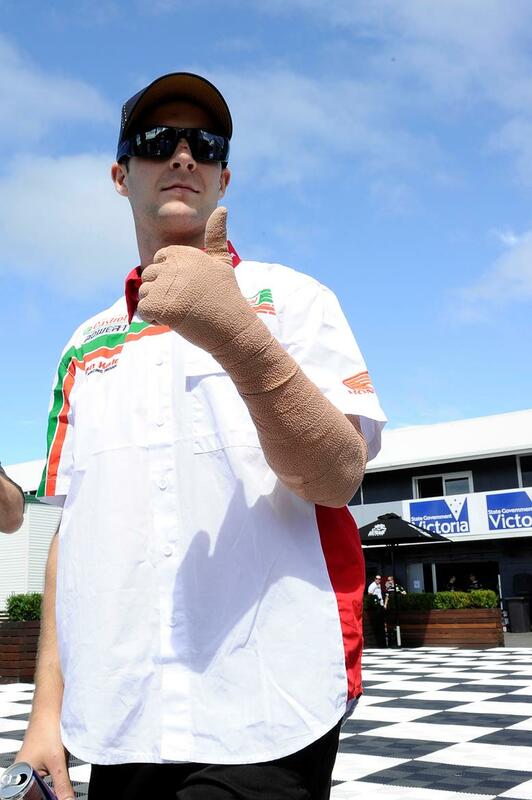 Rea has a heavily bandaged left hand, wrist and arm in an effort to get the swelling down along with damage to his right wrist, but was in good spirits and is confident he will be in a position to ride when practice kicks off tomorrow. Speaking to MCN he said: “I’ve basically aggravated the injury I did at Imola last year on my left wrist so that feels pretty sore. I’ve also broken a tendon in my right wrist which means I’ve got a lot of movement there that I shouldn’t have.